Herbarium Exhibit Opening at Forth Gallery, First Friday! Featuring a body of artwork resulting from the third Dry Media workshop. 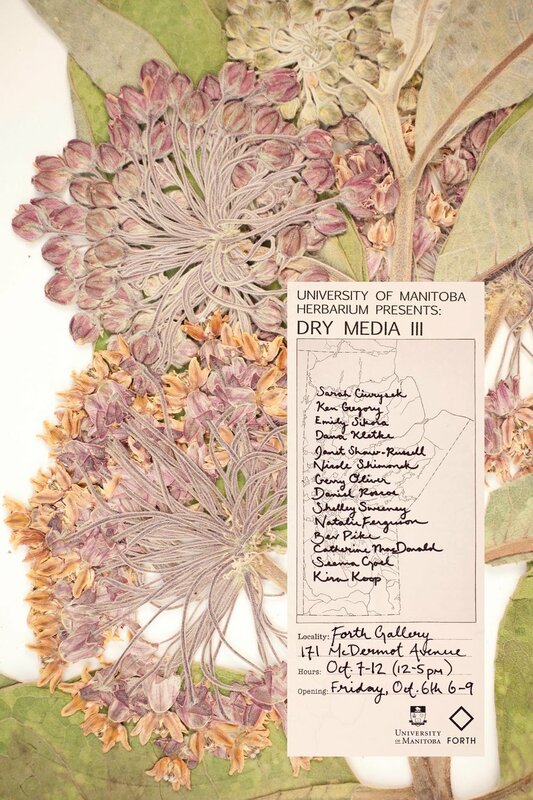 Manitoban artists gained access to the University of Manitoba Herbarium – a biorepository of dried, preserved plant specimens for scientific study - to view botanical specimens under microscopes, capture images with a microscope camera, and camera lucida. Co-curated by Diana Sawatzky and Beth Schellenberg.